Las Vegas offers a dizzying array of attractions and entertainment options for both kids and adults, alike – here’s what to consider when planning the ultimate family vacation. When most people think of Las Vegas, the image that immediately comes to mind is one of noisy casinos, alcohol-fueled escapades, and adults-only venues. This doesn’t exactly make it a place worthwhile to your children who’d rather swim, play, and explore when on vacation. 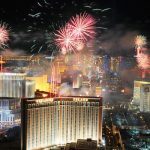 However, Vegas is certainly still a world-class playground for the 21-and-over crowd, it is also the ultimate place to take a family vacation. As the Entertainment Capital of the World, it truly has something for everyone. Vegas has strict rules about kids being out on the gaming floor, so a traditional casino on the Las Vegas Strip may not be the ideal lodging spot for you and your family. If you are firmly committed to staying on the Strip, a kid-themed hotel/casino like Excalibur or Circus Circus may be better suited to keeping kids happy more than others. But if you’re looking for the ultimate stay with accommodations fit for the whole family, step away from the chaos of the Strip and check out a resort like Club de Soleil. It offers two 24-hour pools and hot tubs, a fitness center, tennis court, and activities. Enjoy family style fun in Vegas with everything from water parks to interactive museums to day-trip escapades, there is plenty to keep the kids happy when vacationing in the desert. It’s a way to see Sin City through a different, yet still exciting, lens. If you’re looking for an exhilarating day outside with the kiddos, consider visiting one of the two big waterparks in the area. On the west side of town is Wet ‘n Wild Las Vegas, and on the east side is the ever-popular Cowabunga Bay. They are both highly-rated, quite affordable, and a great outing to cool off during the peak of the summer heat for your Vegas family vacation. You can also beat the heat by visiting kid-friendly places indoors. Some of the best museums for kids in Vegas include the Las Vegas Natural History Museum, the Discovery Children’s Museum, the Pinball Hall of Fame, and the Springs Preserve. The Ethel M Chocolate Factory Tour and Cactus Garden is a perennial favorite, as is Hershey’s Chocolate World and Madame Tussaud’s Wax Museum. Getting outdoors is not only a possibility in Las Vegas, it should be considered a must-do. Some of the family-friendly outdoor recreation areas within driving distance of Las Vegas include: Lake Mead National Recreation Area (rent boats or personal watercraft, go fishing, etc. ), the Grand Canyon (a bucket list item for every traveler’s list) and Red Rock Canyon. The surrounding natural areas adjacent to Las Vegas are perfectly suited to families looking to explore on foot, via jeep, on an ATV, personal watercraft, or even helicopter. 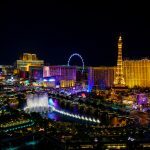 There are so many things to do in Las Vegas that will be entertaining for your child, so start planning your trip now. For more information about where to stay in Las Vegas with a family, what to do in the area, and how to create the ultimate Vegas family vacation getaway, contact Club de Soleil today. Time to get “fireworked” up over another July 4th in Vegas!